Architectural Animality: drawings out for a walk was a collection of drawings that took part in the process of exploring ideas for Avery Green's renovation and extension. 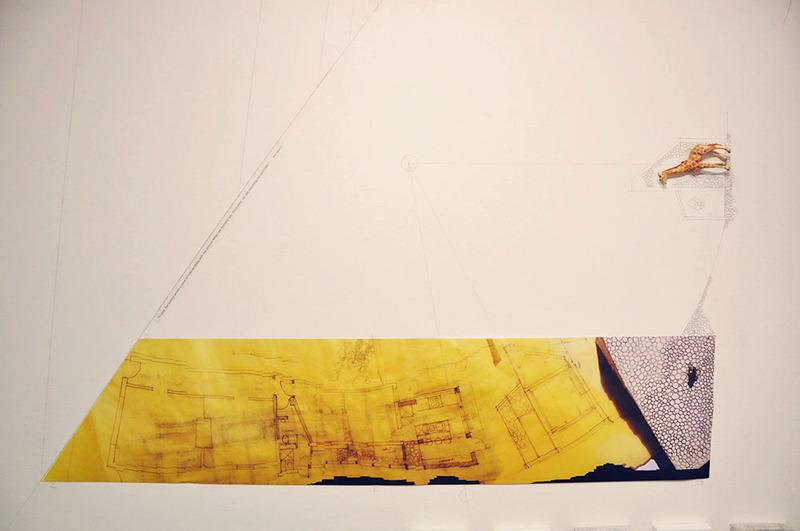 These were exhibited as part of the group show, Trace: Architectural Musings, curated by Leonie Matthews (architect and educator) and Amanda Alderson (art curator) at the Mundaring Arts Centre in Oct/Nov 2014. This was before Avery was named, and when her future very much in formation. Via a play of analogue and digital techniques, the drawings set out for a walk across an assemblage of ideas, influences, and obsessions as they moved toward the emerging greenhouse-bathroom-kitchen creature, that eventually became the transformed Avery Green. This assemblage of drawings was very much in play, a quality that remained an important part of Avery's playful qualities, and her 'animality'.